A mobile app parking payment solution for municipalities and lots. Quick setup, very low cost integration, and innovative parking features for users. MeterEZ has a very low startup cost when compared to other modern parking solutions. Because there is no special kiosks or meter heads to purchase the cost to begin working with meterEZ is affordable. 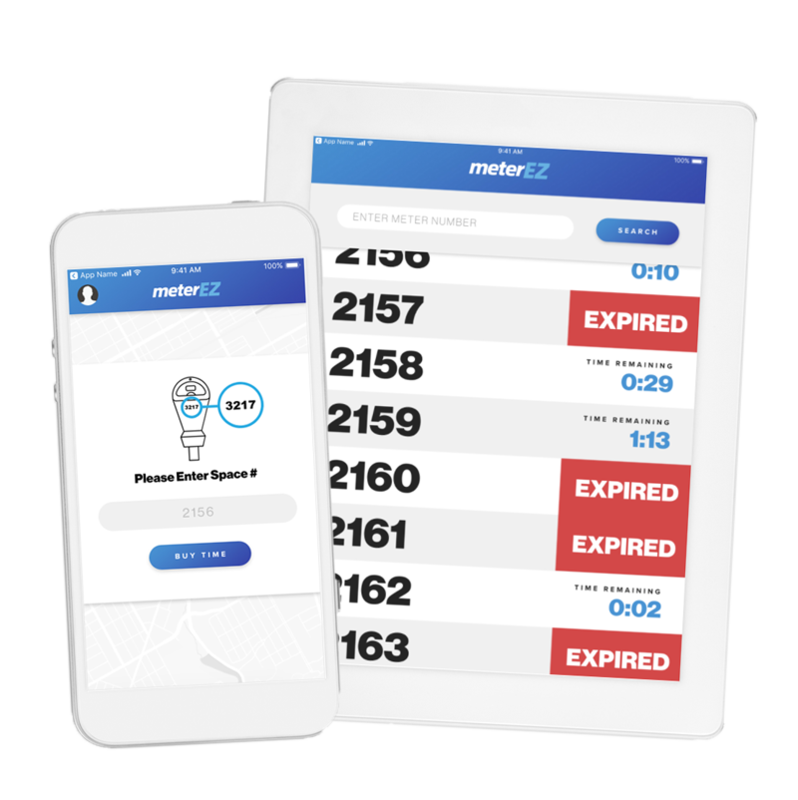 Within just a couple of week the meterEZ team can map your city and integrate your parking with our solution. We place vinyl stickers on existing meters and integrate your pricing and the rest becomes automated. Parkers now have a very intuitive and convenient solution at their fingertips to pay for parking. Our mobile app makes it easy to select, purchase and add additional time to their parking. Remotely add time to parking period. No reason to run back to your car when your meeting goes long or hoping you don’t get a ticket. You will be notified when 10 minutes remains on your meter and with a couple clicks you can add more time. Seamless integration with current meter reading procedures. MeterEZ will integrate with nearly any enforcement solution on the market. Our team of developers will work with your city to create a mobile pay / enforcement solution that works for your needs. Not sure what enforcement solution to choose from? Don’t worry, we can help you choose what is best for you. Learn how our low cost to no-cost solution can work for you.